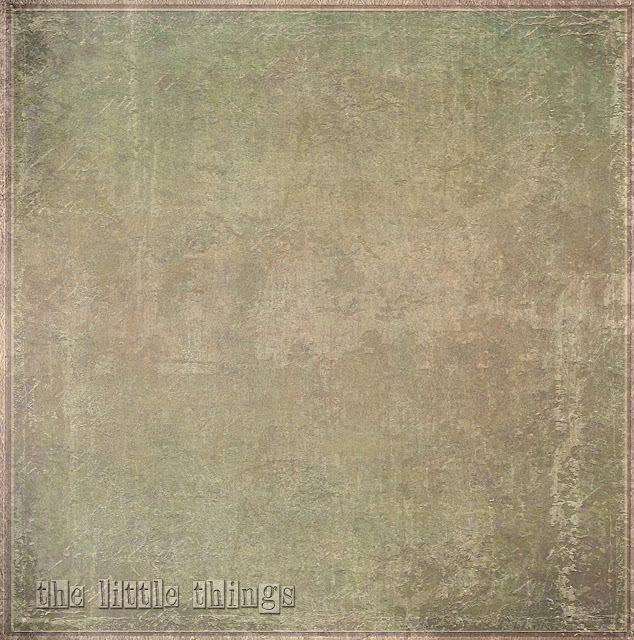 Just popping in with a reminder, a couple of little announcements and a new free texture. 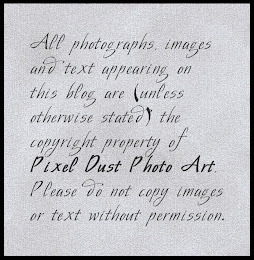 Please read the whole post before downloading your free texture. Two prompts for the month of September are shared here and one of them will be a special personal project for each one of us! Reminder: Our photo art gallery is closed this week and will re-open in September. 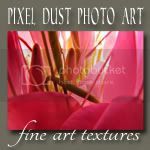 I had planned to re-open the Photo Art Friday gallery on Friday, September 7th (Thursday the 6th for you early birds!). My husband will undergo surgery on Sept. 5th and remain in the hospital for a few days afterward, so while I will do my very best to make sure the inLinkz button is posted for you on the 7th, I cannot promise that I will be able to visit any of the submissions. For the September 7th edition of Photo Art Friday, the optional prompt is "moving". Create or use an image to illustrate a 7-Word Sentence (yes 7/seven!) that summarizes your life as a photographer, artist, digital artist, digital photo-artist. If you prefer to create your image and compose your sentence to go on or with your image thinking of yourself as an aspiring photographer, artist, digital artist, etc. that is just fine too. Got it? 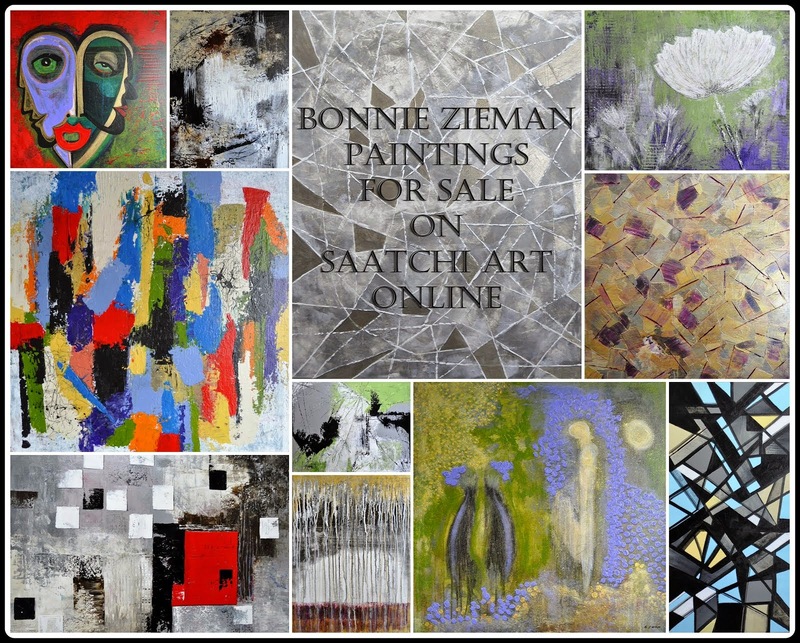 A seven-word sentence that summarizes your artistic evolution with an accompanying photo-art image that relates to the seven-word sentence - for the Sept. 14th edition of PAF. This will require a little thought, perhaps even a little working and re-working so you have over two weeks to develop what should be a very personal and meaningful creation. Try to have fun with this. It's simply an image and sentence that represents how you see your artistic life or artistic development and/or evolution at this point in time. You put your own spin on the prompt - making it as simple, profound, serious, playful or humorous as you like. 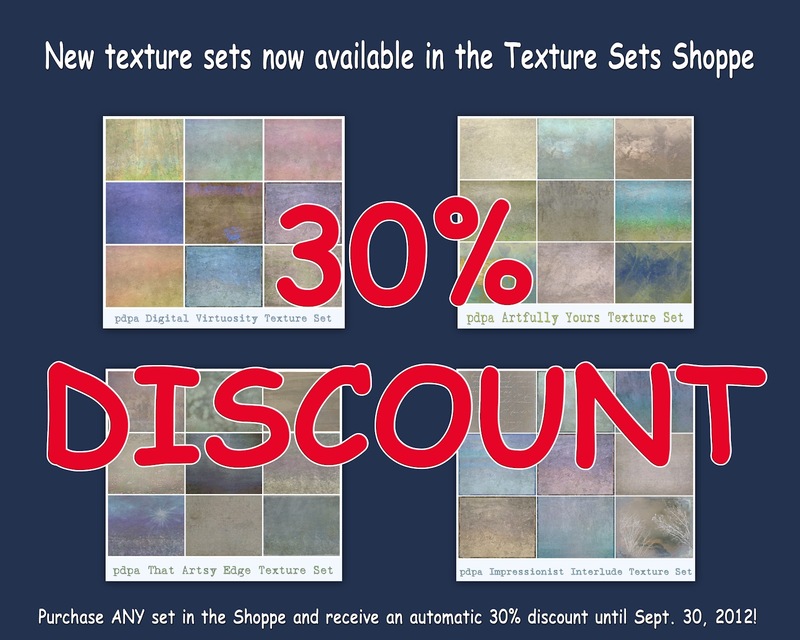 A few of you let me know that you missed out on the 30% reduction in my Texture Sets Shoppe last July. 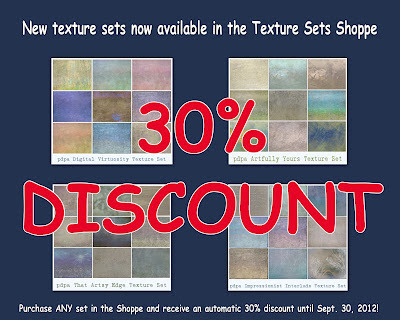 Well - here's another chance to save on the texture sets. 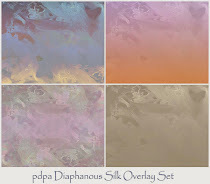 Until the end of September, 2012 you will receive an automatic 30% discount on any and all texture sets in my Shoppe. There is no code to enter, the discount will automatically be applied to your total. To download your free, high-resolution version of pdpa The Little Things texture, click HERE. Thanks everyone. If you have any questions about this post please ask them in the comments. I will answer them there so everyone can benefit. Have to go and think about my seven-word sentence!!! Oh I need to put on my thinking cap - but school has started and my brain is a bit mushy! ha Thank you for yet another wonderful texture, and I really need to decide what sets I want!! Well wishes for your husband!! Sending good thoughts for your husband's upcoming surgery! A photo art challenge, how fun! I hope everything goes well with the surgery. Thanks for the texuture. I will think about the challenge. Bonnie, I'm sending prayers to you that all goes well with your husband's surgery...I look forward to participating in the September prompts! The texture is lovely, as always - thank you! Thanks for the texture Bonnie! the texture is wonderful. and wow! what a challenging theme for sept. 14th. - I love it! :) Have a wonderful weekend!